If you’ve ever considered buying an SUV, you’re part of a large group of people who feel exactly the same way. At Wynne Volvo Cars of Hampton, we want you to purchase your next vehicle based on an informed decision and because you know you’re getting what you want and need in a vehicle. We have some great reasons on why an SUV just might be the perfect vehicle for you and your family. When Wynne Volvo Cars of Hampton got the new Volvo XC60 on the lot, this popular luxury compact SUV literally began to sell itself due to safety features like these. The new Volvo XC60 has the ability to help a driver to navigate busy highways because it utilizes the Blind Spot Information system. Volvo believes that just because you are buying a used vehicle does not mean that you should settle for something that does not look well. We at Wynne Volvo Cars of Hampton believe in making sure that we present our selection of some of the most stylish vehicles in our collection. Therefore, you can still walk away with an elegant pre-owned vehicle. Do you want a dependable vehicle that can take you to places in Hampton while giving you comfort and convenience at your fingertips? 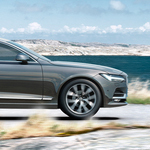 The Volvo S90 is a popular luxury sedan that features an inviting interior that can make your ride more enjoyable. Auto theft is a crime that can happen to anyone, but there are a number habits you can develop that will make it less likely that your vehicle will be stolen. At Wynne Volvo Cars of Hampton, we've found these simple tips to be effective deterrents. Blind-spot monitors are becoming increasingly more common. When you’re looking to be safer on the roads, this safety feature can be highly desirable. It’s easy-to-use and offers an array of benefits. The blind spot monitoring system includes sensors to help you "see" when there is something in your blind spot. Your side view mirrors will light up to show that there is something on one side of you or the other. If your turn signal is on, you’ll also be notified with a beep or alarm. When looking for a new sedan, you want nothing less than the whole package: safety, luxury, and efficiency. With the scare of car accidents, especially as texting and driving becomes more and more frequent, safety is a necessity, and with the rising gas prices, fuel economy is more important than ever. However, you shouldn’t have to sacrifice style and comfort for these other essentials. If you’re looking for a sedan in the Hampton or Newport News areas that encapsulates all three, the Volvo S60 is a great choice. Proud Sponsors of the Rock N Reel Christmas Classic! The team at Wynne Volvo is proud to have provided sponsorship support to the Rock N Reel Christmas Classic, a fishing tournament that raises money for scholarships. This year's Rock N Reel was a huge success with a sold out field of 100 boats. Participants took home over $15,000 in prize money. Best of all, the event helped push the scholarship fund over the top and meet the fundraising goal of $30,000. Cold weather is on its way, and it’s already settling in for some areas of Hampton Roads. So before winter really settles in, take a little time to make sure that your car is good to go in colder temperatures, ice, and snow. Here’s a quick and easy checklist for getting your car, truck, van, or an SUV ready for winter driving. Volvo is famous for having numerous airbags, whiplash-resistant headrests, and reinforced cabin structures to make their vehicles extra safe and secure. But are you familiar with some of their newer features? While some of the most high-tech features are still optional, the following great features are standard on all new Volvo models.